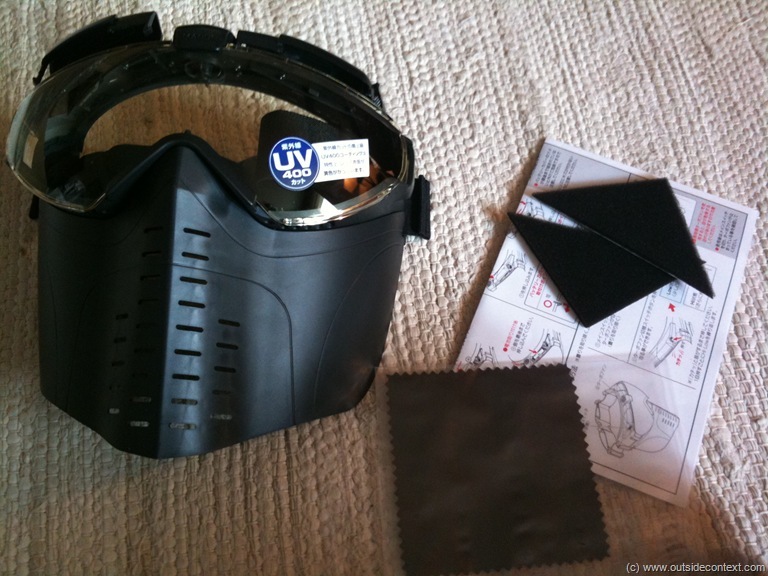 Welcome, this is a review of the new Tokyo Marui Full Face Pro Goggles with built in fan. 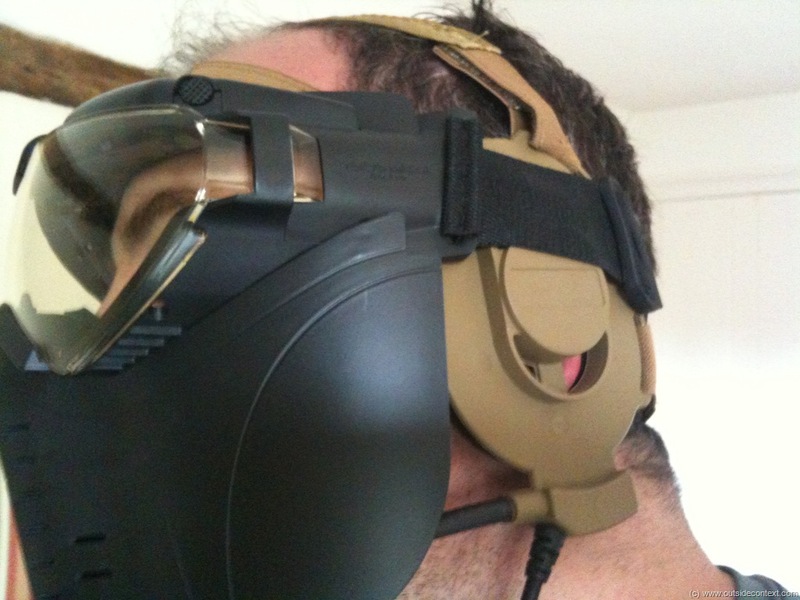 Enter the TM Pro Goggles. 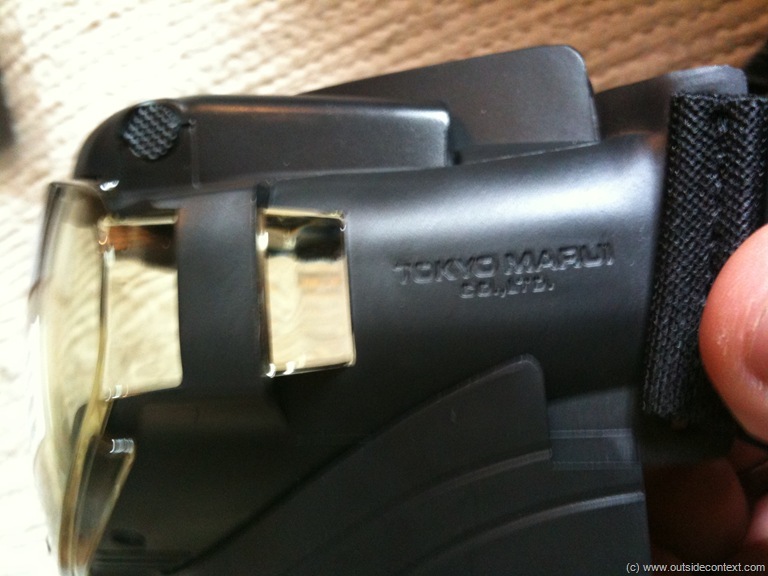 Tokyo Marui is one of the “old school” of airsoft companies, launching the AEG in 1992. 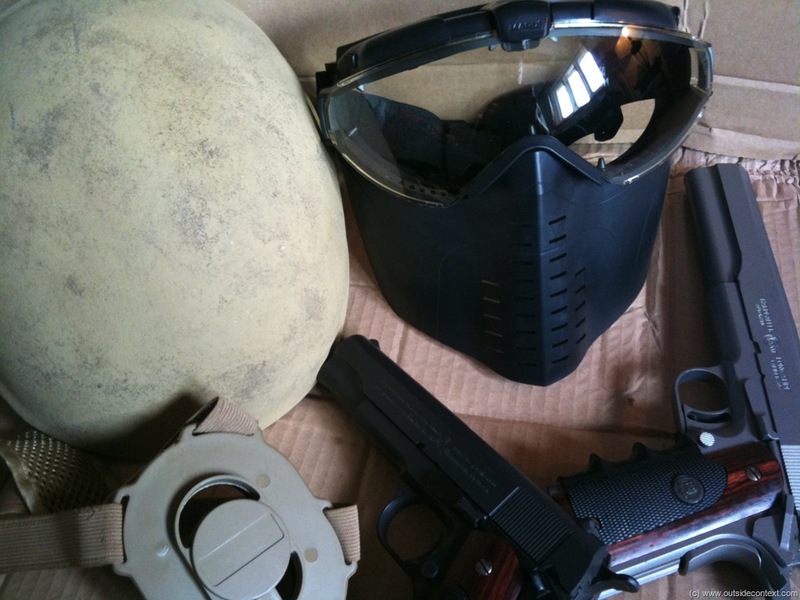 They haven’t really been known for combat gear, instead focussing on all sorts of guns pistols and rifles. 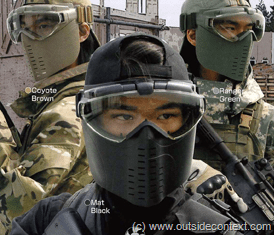 In recent years their quality level and innovations have put them back in the forefront of airsoft. These goggles are a new move, and probably the start of a range. I bought my pair from Zero One airsoft and went for the black colour because it goes with every loadout. They are also available in green and tan. Lets have a look at them then! 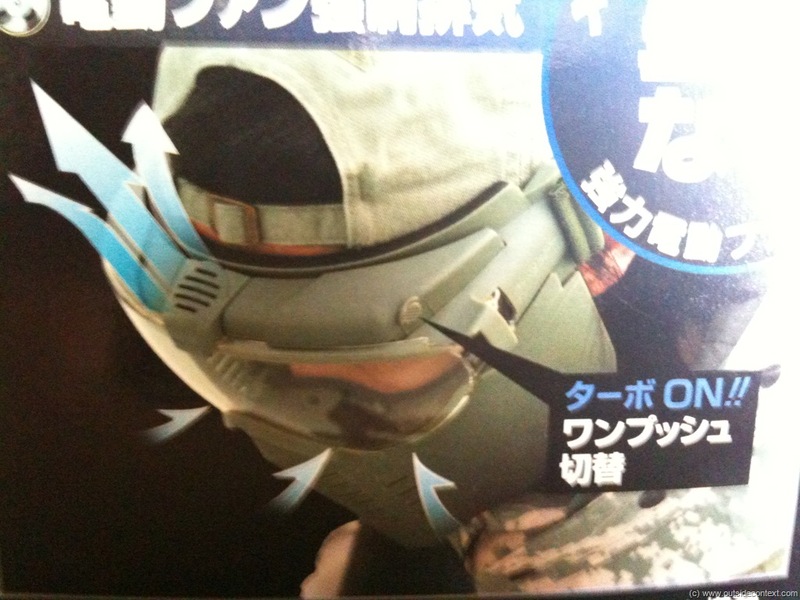 In the box you get the goggles and face mask, instructions in Japanese, wipe clothe and two sticky-back cheek pads. It attaches using a wide strap with dual adjusters. In the middle is a large and secure clip. This clip is very secure and sits flush, however I suspect those with pony tails may have issue with it. 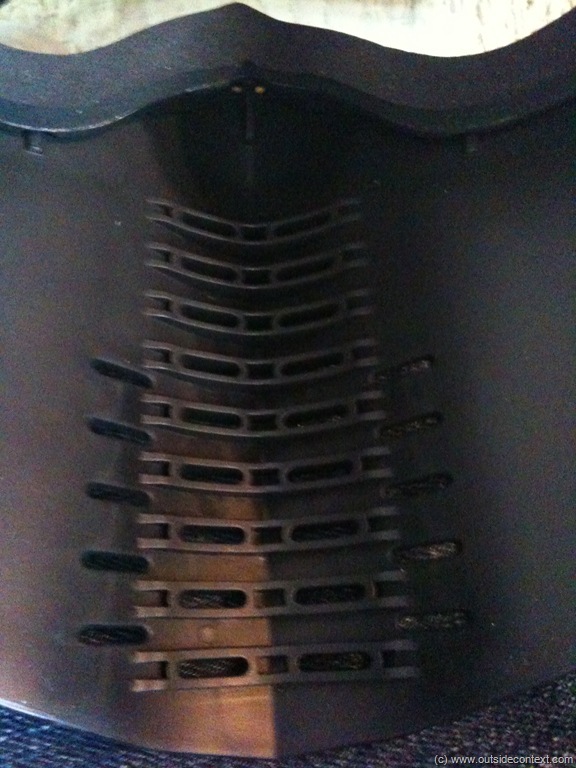 Inside the mask is a plastic grill to allow air in and out of the lower part. 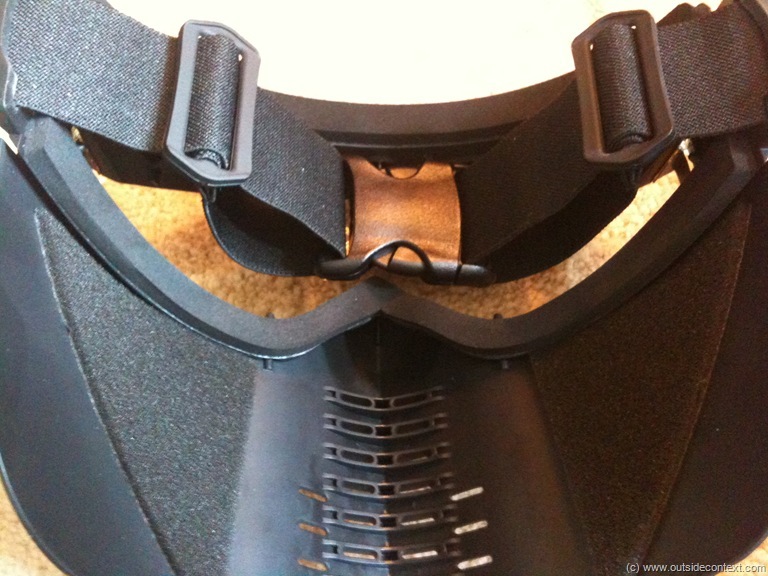 The material is a soft flexible rubber similar to a Sansei mask. 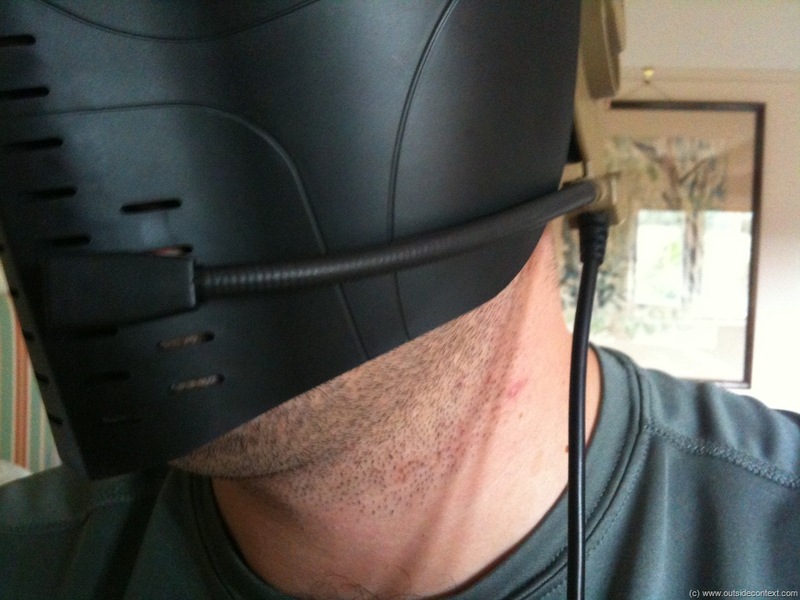 The rubber holding the goggles to the face is hard and thick, not the soft crap we mostly see. I can feel that it would form a seal on the skin when its get hot or wet. 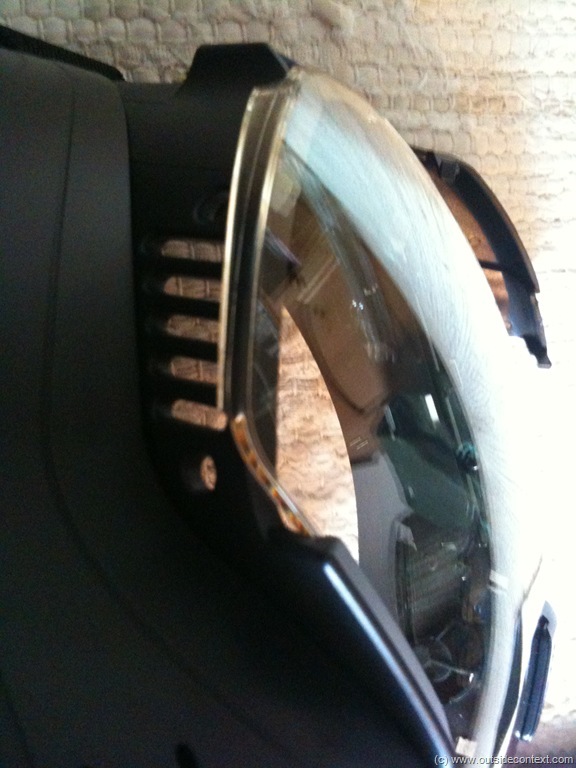 The goggle sidings have enough space to allow the use of glasses underneath and the lens is far enough off the face to fit them in the space. This, of course, reduces the vision a little, but nothing too bad and far better than many masks. 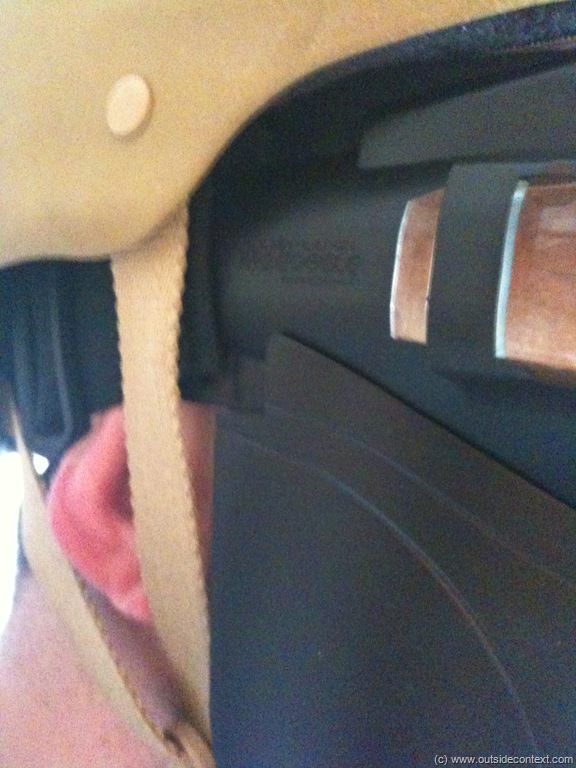 The side of the mask has slits cut into it to allow air passing in and out. This is part of the fan system. Here is the description of the system on the box. 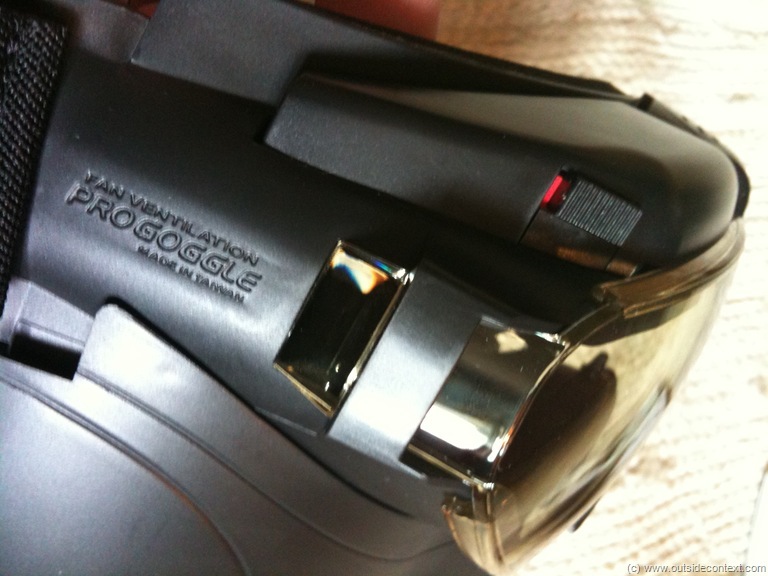 The batteries the system uses is 2 X AAA and they clip in under the frame, which is released by passing through some clips inside by the eyebrow. The fan is the simple mini style often seen inside computers and harddrive caddies. They are notoriously loud as we shall see. The control for the fan is in two parts. 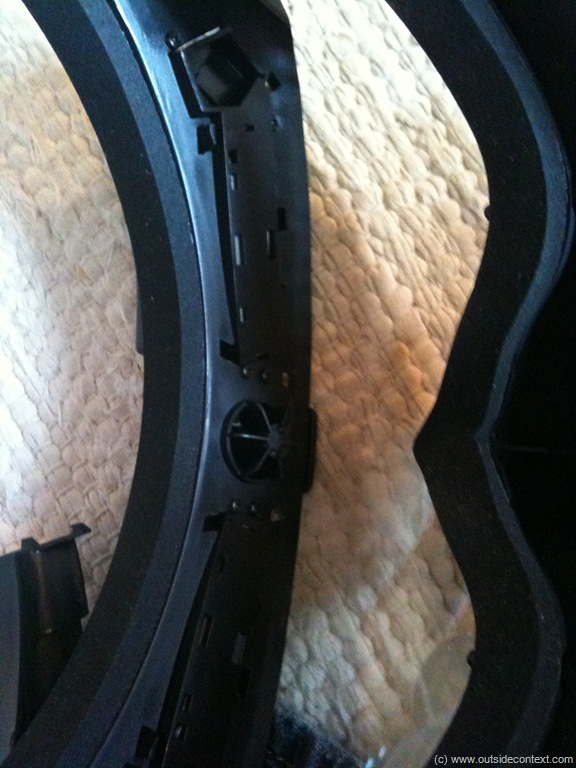 Firstly, there is a sliding switch that starts the fan on a low setting. Then if you press the button, presumably if the goggles have misted up, the fan really kicks in and a noticeable breeze flows over your face all the way down to the mouth areas. 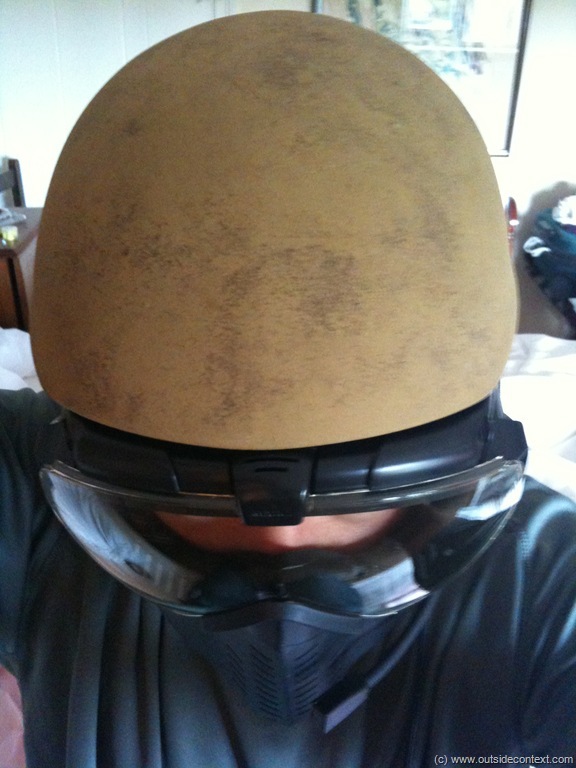 How do they works with helmet and coms? 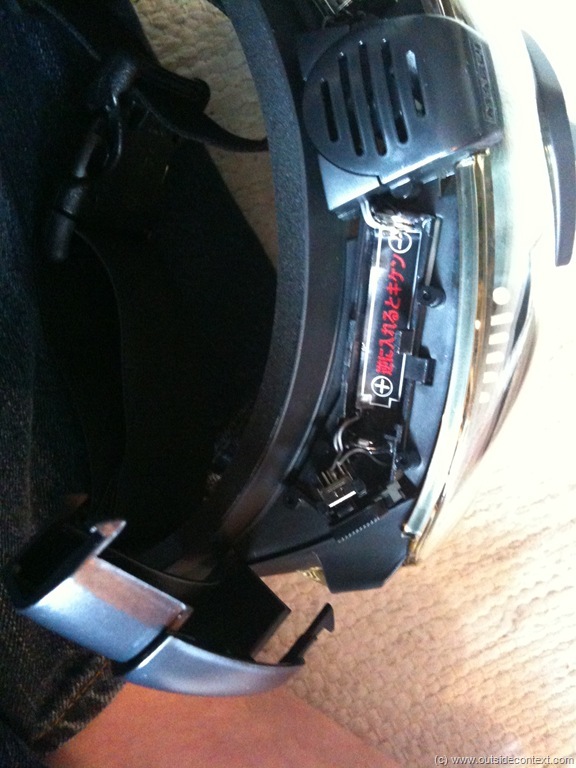 I use a Bowman copy, here is the goggle fitting over the system. 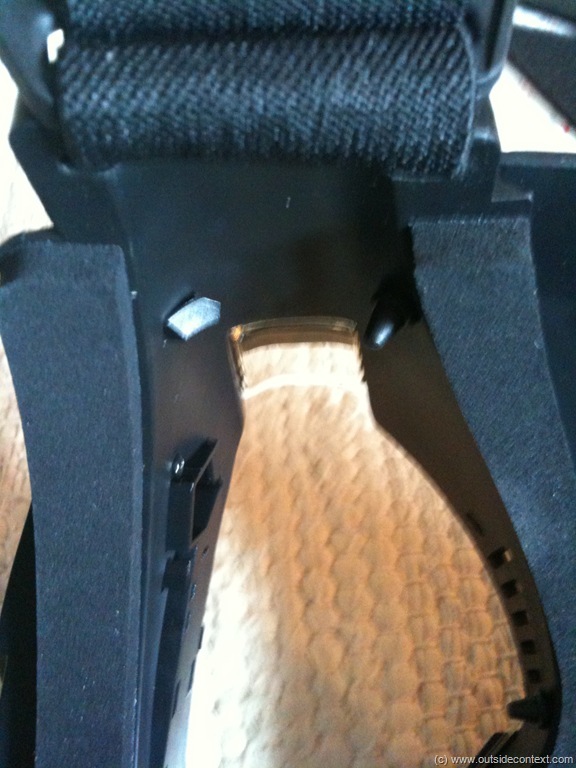 As you can see there is no issues with this one and my microphone will either fit internally or externally. With a good fit, the microphone is held off the mouth fine. I did not notice an seal being lifted by the combination. 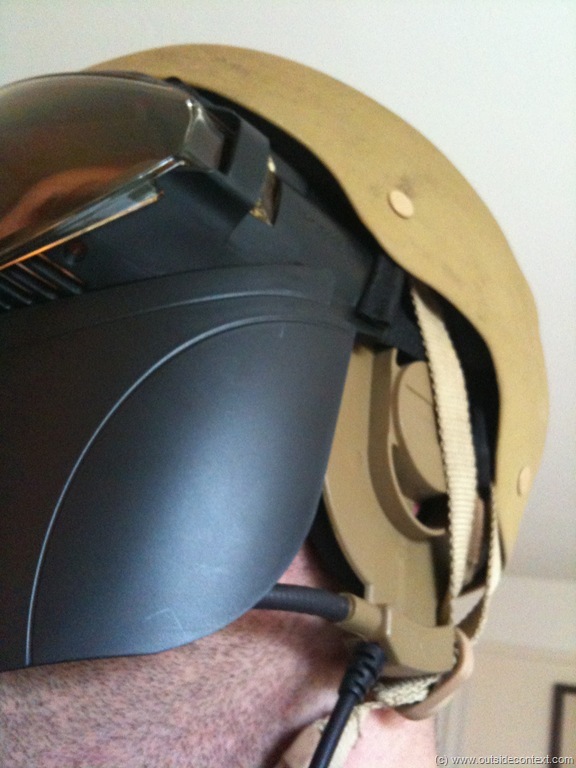 Let’s have a look with a helmet. I haven’t been able to skirmish this yet, so I could only test the quality of the lens by shooting it. My WA Hardballer shoots at 320fps and didn’t make a single mark. At GZ, I will have our sniper shoot it at 500fps and let you know! So, far they are very nice indeed and I give them 9/10.